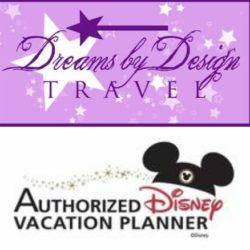 In the themed area of Asia Land, guests enter the fictional Kingdom of Anandapur, which in Sanskrit means “place of all delight.” This land is rich in dense vegetation, flanked with crumbling ruins, mysterious temples and wildlife from exotic countries of the continent. As the story is told, Anandapur was established in 1544 as a royal hunting reserve. As the two riverside villages of Anandapur and Serka Zong began to thrive, the reserve itself was on the decline. The royal family turned the decaying reserve into the conservation area and it is a center of animal research and tourism. 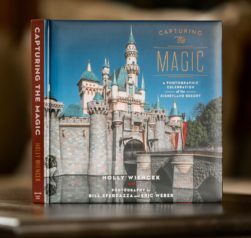 Exploration of this enchanting land will bring many delights to its guests as they encounter some of Asia’s most exotic creatures, thrilling attractions and themed dining. 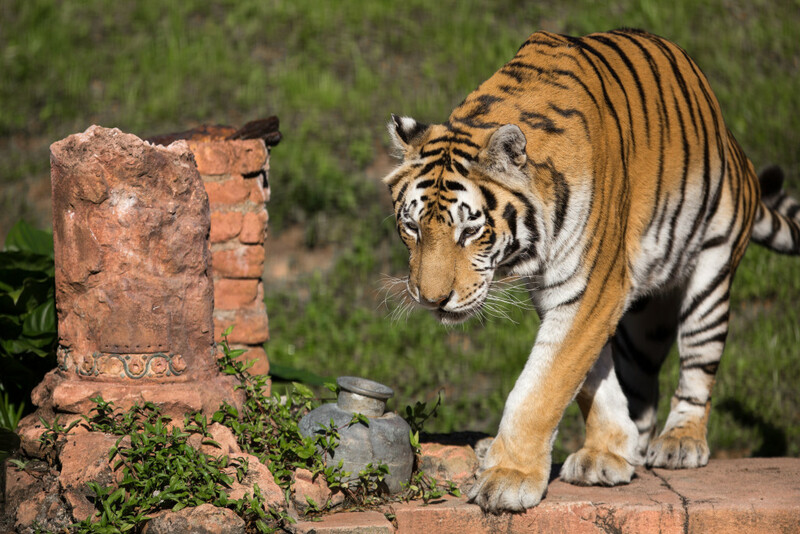 The Maharajah Jungle Trek Attraction leads guests through the forests and ruins outside the village, which are home to a number of exotic animal species. Bird lovers can be captivated the elegance of the soaring birds found at Flights of Wonder and thrill seekers will delight in the raging waters of the fictional Chakranadi River as they experience what illegal logging practices can do to the precious rainforest. Looming in the distance behind Anandapur is the Forbidden Mountain, the home of Expedition Everest Attraction which is a roller coaster ride through the Himalayas where passengers will encounter the legendary Yeti. 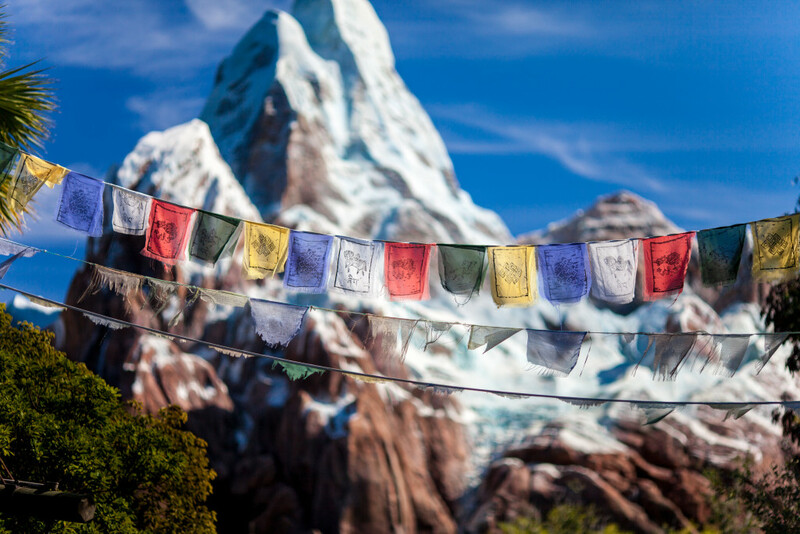 Expedition Everest: Legend of the Forbidden Mountain Attraction – Embark on a high-speed run through the Himalayas in search of the elusive Yeti. Filled with turns and lifts, pass through a ravaged temple with murals of the Yeti on its way to the top of the mountain. Roar through the cave to the top of the mountain where the tracks have been torn to shreds by the Yeti, sending riders backwards before a 80-foot drop as you race to escape the monster before he catches you. 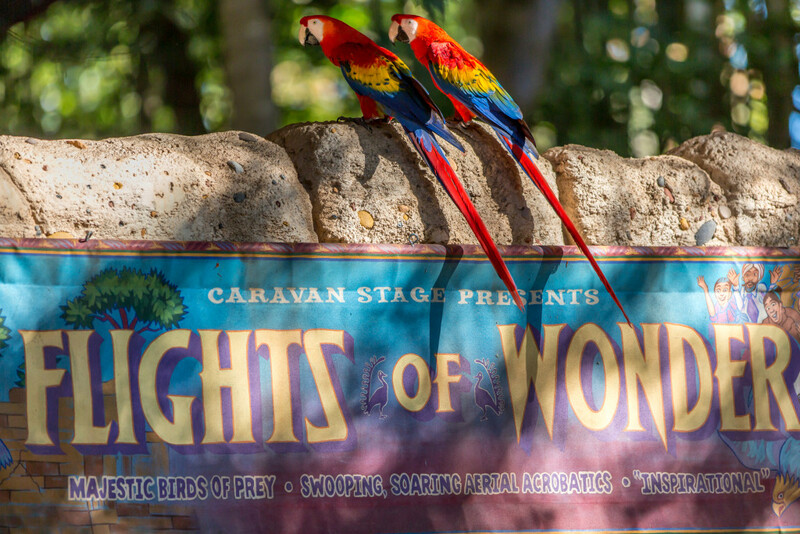 Flights of Wonder Attraction– Relax under the canvased canopy at the Caravan Stage for an inspirational and educational show starring at least 20 species of exotic birds. This 25-minute performance will enlighten and astound as informative trainers pair up with exotic birds for a performance exhibiting their fascinating natural behaviors and often humorous talents. 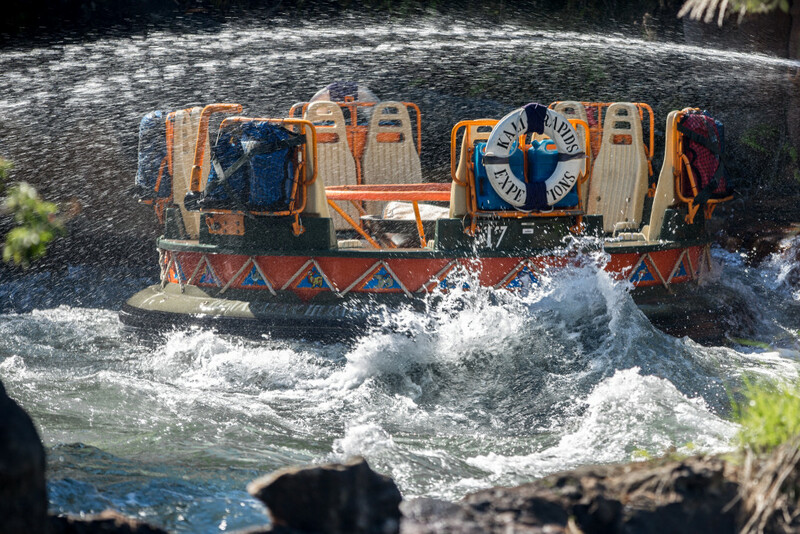 Kali River Rapids Attraction – An exciting river raft ride down the fictional Chakranadi River that twists and turns through the dense jungle landscape that has been ravaged by illegal logging practices. Experiences drops and geysers along your journey and splash down a 20 foot drop before coming to an end. 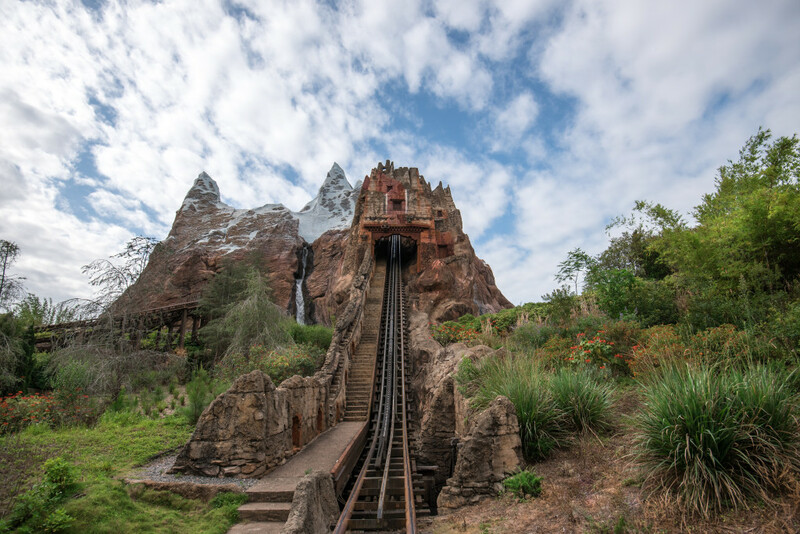 You will get wet on your journey…you may even get completely SOAKED! 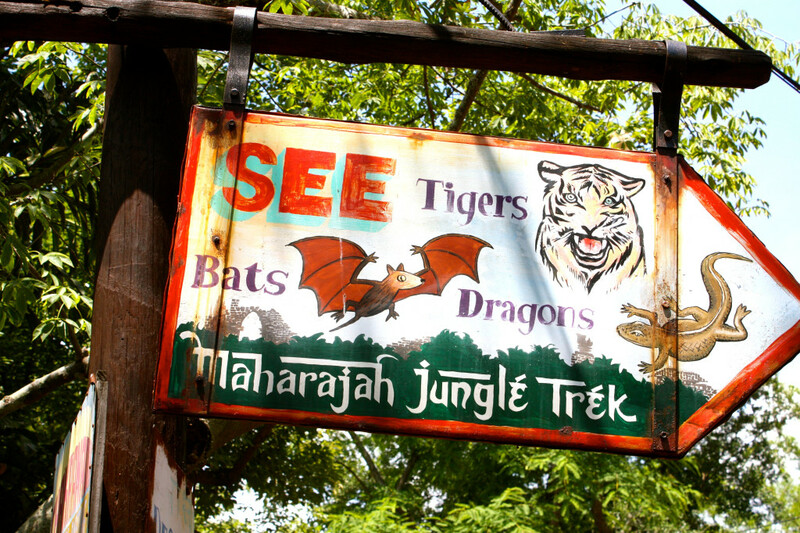 Maharajah Jungle Trek Attraction– Embark on a self-guided tour through Anandapur Royal Forest, a tropical paradise of trees, ruins and wild animals like tigers, fruit bats, flying fox, gibbons and over 50 species of exotic birds. Navigate trails beneath a canopy of swaying trees and discover Asia’s exotic creatures in their natural habitats. Upcountry Refreshments– Set off your journey with an ice-cold, refreshing margarita. Choose from several different flavors or layer them to create your own special concoction. Satisfy your hunger with snacks like hot pretzels or chips and wash them down with a cold beer. Yak & Yeti Local Food Cafe – Drop in on this local cafe after your Himalayan trek for quick-service Asian fare like sweet and sour chicken, beef lo mein, mandarin chicken salad and crispy egg rolls. This local cafe is a fan favorite for busy guests who don’t want to take the time for the Yak & Yeti table-service dining. Yak & Yeti – Relax and unwind in this Nepalese establishment inspired by the western Himalayan foothills. This table-service establishment features cuisine with an asian fusion and a full-service bar. Quaintly decorated with souvenirs from the proprietor’s travels through Southeast Asia, this dining experience is sure to please. Mandala Gifts – Apparel and accessories, camera and media, food and spirits, and gifts and housewares. Complete your expeditions and adventures with Yetis and other plush toys. Serka Zong Bazaar – Gather Asian artifacts, souvenirs and other trinkets as you descend from your Mount Everest expedition. 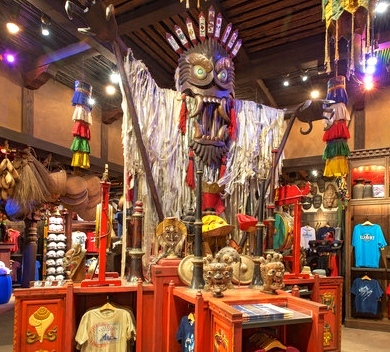 Rich with apparel and accessories, food and spirits and themed merchandise, this busy shop has the goods to commemorate your adventures. Yak & Yeti Bhaktapur Market – Offering a wide array of treasures, apparel and accessories with an Asian flare. Authentic souvenirs from incense and teapots to silk purses and saris to chopsticks galore.